Epson has launched an alternate configuration to its new Colorworks C7500; the C7500G. Recently, I met with Andrew Moore, Product Manager and Keigo Ejiri, Engineering Liason, to learn more about and to see a demo of the C7500G. As described to me, the challenge with glossy media is the high speed of the C7500. The C7500 is so fast that the standard ink did not have a chance to fully dry on glossy media resulting in some risk of ink transfer or image defects. The UltraChrome based inks dry much faster on glossy substrates opening up a wider range of media that the C7500 family can handle. 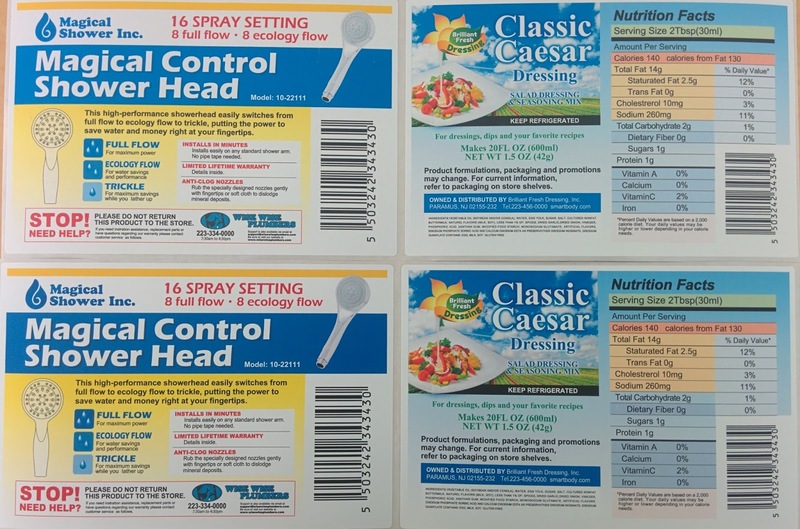 On top, gloss labels printed with the C7500G; and on bottom, gloss labels printed with the C7500. Although you may not see it in the picture, I found the C7500 had slightly darker colors. See if you can tell the differences in the yellow around the showerhead or the light orange in the Nutritional Facts. Therefore, if a customer’s specific gloss media allowed sufficient time to dry, I would recommend using the standard C7500. For sure the standard C7500 provided better print quality on matte. On top, matte labels printed with the C7500G; and on the bottom matte labels printed with the C7500. 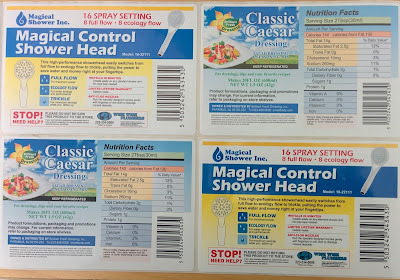 Again see the differences; the yellow around the showerhead and the orange in the Nutritional Facts are darker on the bottom labels printed on matte with the C7500. Based on my understanding of the differences, I would recommend using the C7500 if you print both matte and gloss labels. If you need very glossy labels, the C7500G will be the right choice. Most importantly, you should contact Color Label Solutions if you are interested in a C7500 printer; as we’re the experts with this technology. To purchase the C7500, visit our store. FlexStr8, Inc. (http://www.flexstr8.us/) develops, manufactures, and markets integrated smart label systems, smart labels, encoders, and NFC software; and a partner of Color Label Solutions. FlexStra8 has developed the world’s first NFC-enabled color label clip-on encoder using the TM-C3500 printer. With the clip-on NFC encoder, FlexStra8 has made it easy to upgrade a TM-C3500 to encode and print NFC labels. 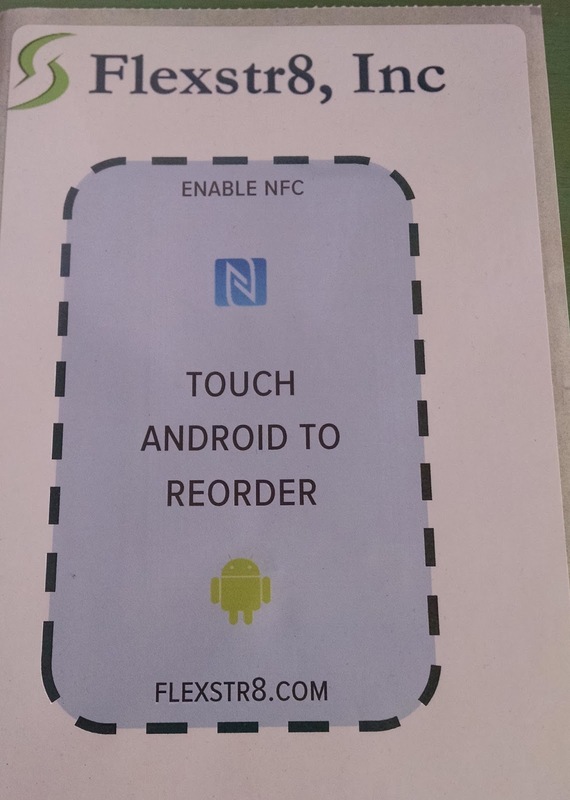 And to learn more about the FlexStr8 NFC solution, check out their video. This 3 minute video tells you much more about the technology. 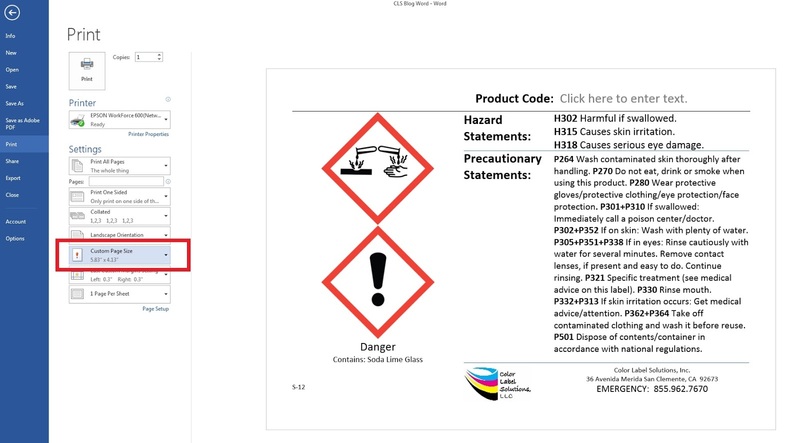 https://www.youtube.com/watch?v=vbw4cW02N-s. Pay particular attention to the potential applications FlexStr8 sees for this solution. 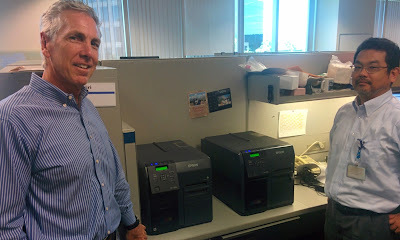 After working in the RFID market for some time, (check out my Linked-In profile to see more about my experience in RFID: https://www.linkedin.com/in/guymikel), my focus in my discussions with FlexStr8 was on the potential applications for the technology; the combination of print on-demand color and NFC. Here are a few examples. Provide addition use directions or product manuals. 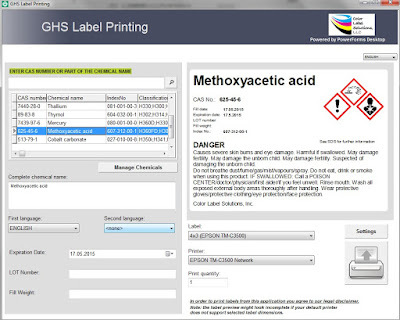 For example, GHS label information or SDS sheets. Tie consumers directly to your social media pages. Offer specific language based on the default language of the browser settings of your customer. Make it easier for customers to repurchase your products by directing them to the product purchase page. Second, you can use the NFC chip to launch an application on the customer’s smart phone; or take the customer to the app store to download and install an application. 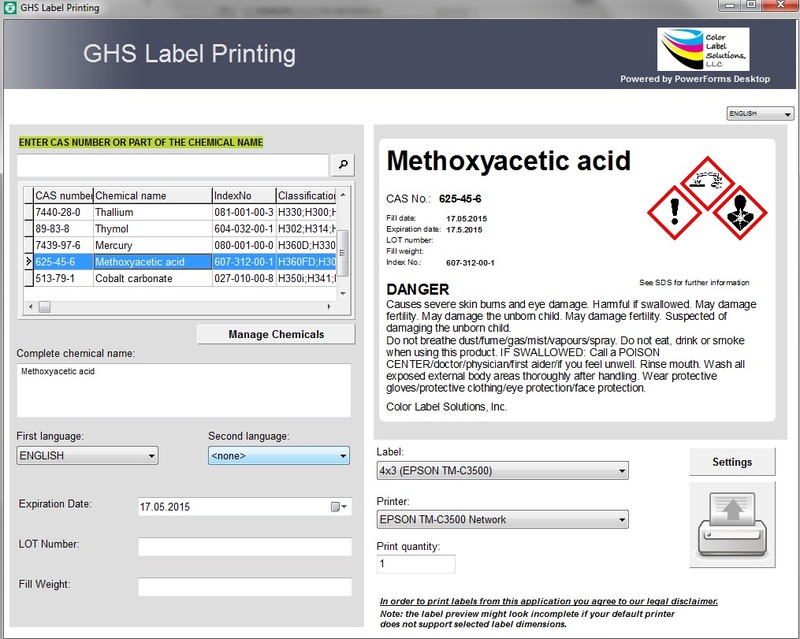 Now your label can become a means to distribute applications your company builds to strengthen your relationship with customers. For example, our customer Hummingbird Nectar can not only connect customers to their Hummingbird cam: http://www.hummingbirdnectar.com, but also provide an application that make it easy to identify specific species of hummingbirds (if available). Third, event organizers can load v-card information onto a NFC tag; to make contact information readily available. Lead tracking at events just became easier to do. 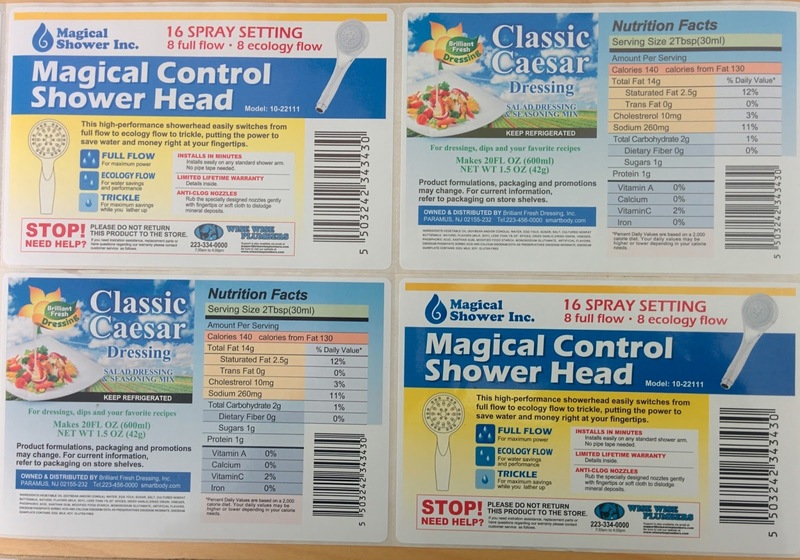 Overall, the FlexSt8 application enables companies to connect with their customers, providing significantly more value that what’s available from a standard label. To learn more or to purchase your FlexStr8 encoder to add to a TM-C3500, contact us. 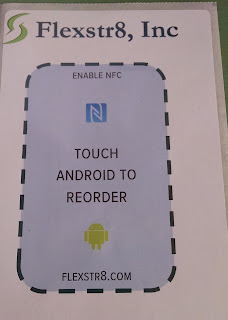 And begin testing how NFC capabilities will improve your products. 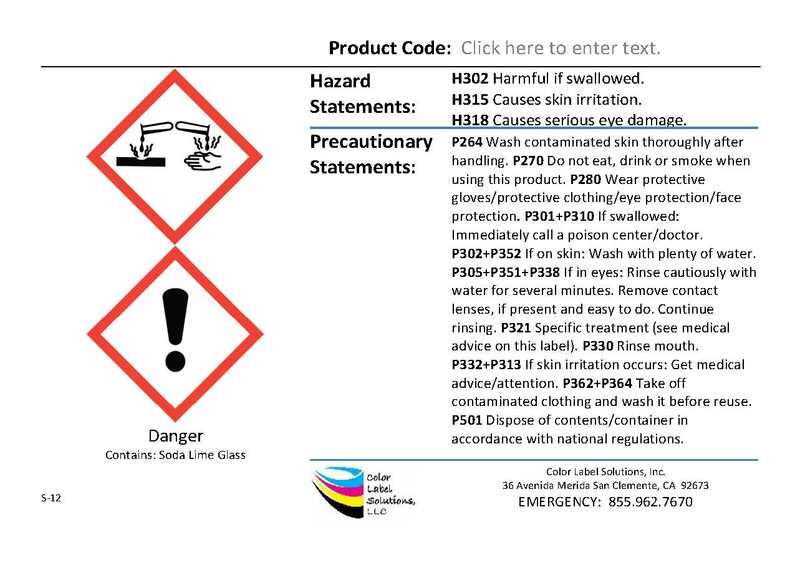 This post comes from our guest blogger, Tim Semic, Technical Support Manager for Color Label Solutions. 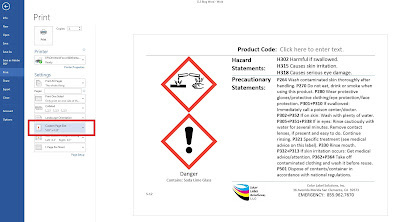 Being the tech support guy for Color Label Solutions, I was recently asked to assist a company that had created their labels in Microsoft Word. To me it was actually amazing what a good job someone had done with creating their labels using this application. I was humbled with their expertise. Every label looked professional. 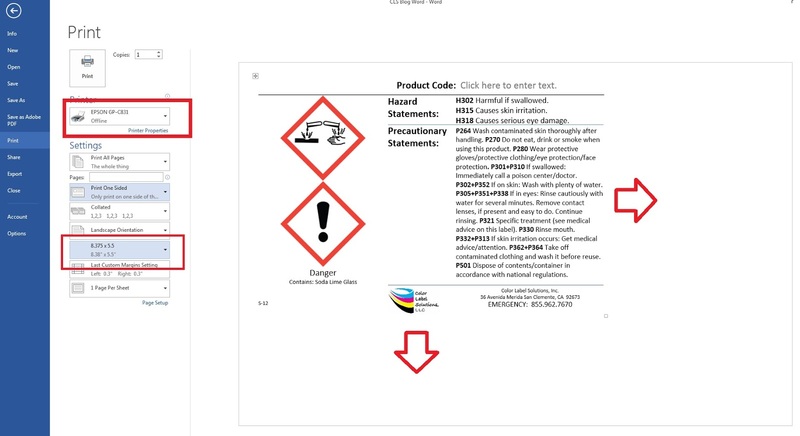 But there was one important question that was not considered during their decision to use MS Word as their design tool for labels: Will They Print? "Can you help us?" The manager asked, after realizing that he could not print any of his MS Word labels to a label printer. (See just how much we care about our customers at the end of this article). 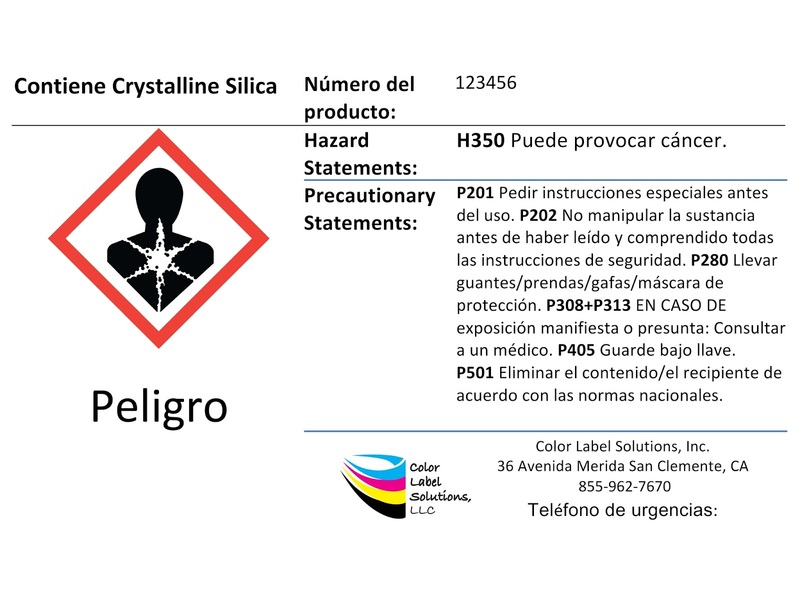 When starting this project, I had no idea about how to print labels designed in MS Word. 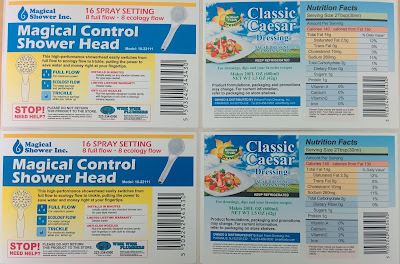 Their labels had large margins around all four sides. If I tried to alter MS Word’s page settings to make the content fit the label media correctly, the label content would reflow on the page and become unusable. In addition, the customer wanted to be able to type in lot numbers on their labels as they printed them. So I set to work to find a solution to this problem. I processed a label through several applications to determine a workflow that would convert the MS Word label files into a printable format. After a few solid hours of work, I figured out the steps that would allow me to convert labels created in MS Word into form-fillable labels that would print in a variety of sizes! Use The Right Tool for the Job! Having the right tool for the job will save you time and money, not to mention frustration. Don't use a text editor to create your labels! So to the heart of why I am writing this blog entry. And some will provide advanced features for integrating into ERP software such as SAP. My job at Color Label Solutions is not to sell, but rather to help our customers, and to even help those of you who are not our customers. Not yet at least! We believe in Karma! If you currently have a need to print labels, but don't have an optimized printing solution at this time, I encourage you to contact us. But please, don’t ever create labels in a text editor such as Microsoft Word. 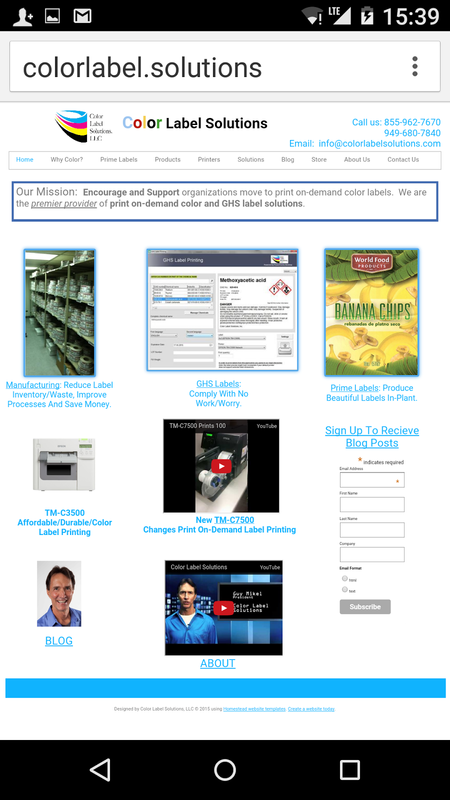 We at Color Label Solutions are dedicated to assist you with the purchase and deployment of label printing equipment, label design and printing software, as well as complete label printing systems. We’ll assist you with installing the correct version of the printer driver onto your computer, show you how to add page sizes, and review the basics of how to print labels; so that you understand how your printing system works. 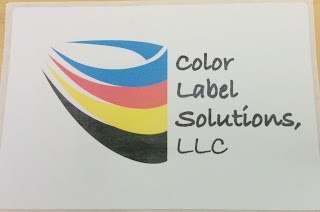 Our goal at Color Label Solutions is to make your path to label printing easy, and keep it that way! Rather than you researching just what you need to buy, and then hoping that you didn’t just make a huge mistake, you can relax and rely on our years of experience to help you through the complete process. Not only will we work closely with you to select the printer hardware and label software that’s the right fit for your needs and budget, we will also spend quality time with you to set up your label system and get you printing. 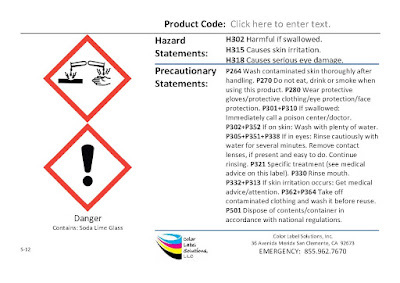 * Customer service for consumables such as labels and ink, or hardware such as additional printers. 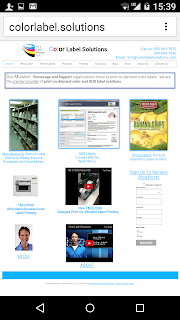 * Technical support for your label printing system. * Graphic design for creating custom labels that meet your needs. We invite you to become our customer.